Kate Motaung really pulled a winner this week! BLUE? How does one write about a color? Or do you name your emotion, “blue”, and go from there? Because if that is the case, the last seven days have been blue…and, trust me, not pretty like these sensational hydrangeas…I’ll be brave and set the timer and begin my Five Minute Friday post. No one was hurt and for that we are extremely grateful. Accidents and totaled automobiles = BLUE. 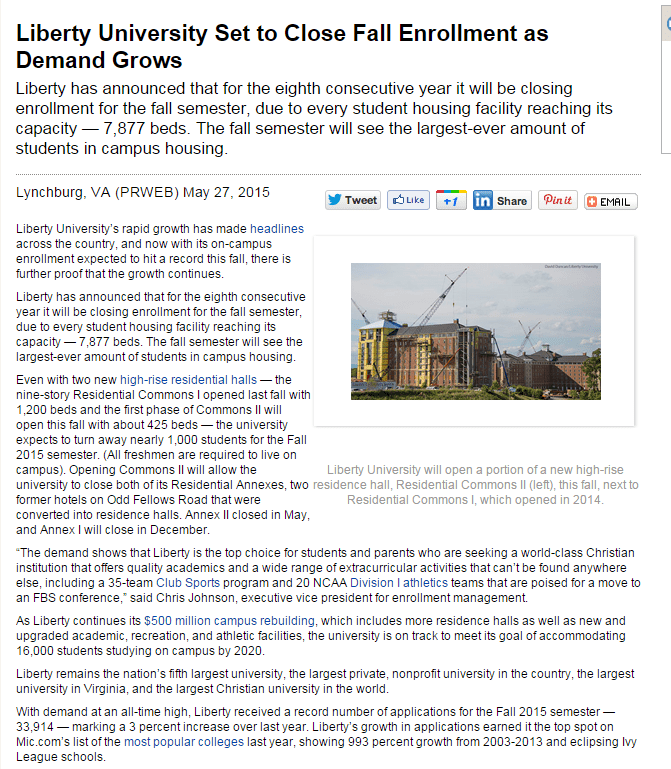 My heart, Hannah, was told she could not attend Fall Semester at Liberty this August = BLUE. I love the color blue except when it paints my emotions, then it is a color of sadness and sorrow. Blue on the color palette, on the other hand, has become one of my favorites – I have it on our front porch, in our bedroom, in the guestroom, and in my closet. 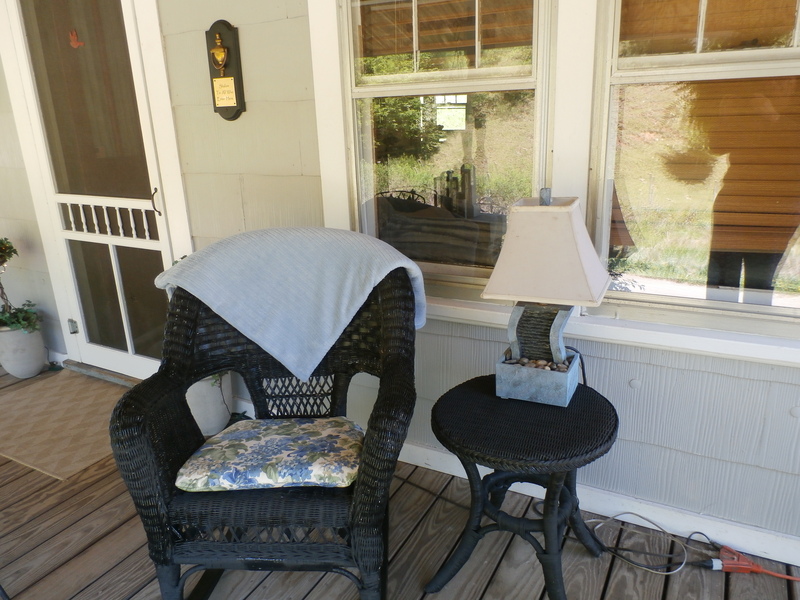 It is a shade that draws me in and comforts me like the fuzzy blue throw on our porch rocking chair! Finally, yesterday, six days into the GBF, our family celebrated this boy, our very own HOPE WRAPPED IN BLUE that Papa God delivered to us on May 28, 2003! This little boy came to us after a season of great sorrow and grief – he was a gift straight from heaven and we called him our hope wrapped in blue!!! You can read about that time of our life here. Yesterday, our Simon turned 12, and what a delight he has been. And, speaking of blue? It’s his favorite color – matches his eyes! 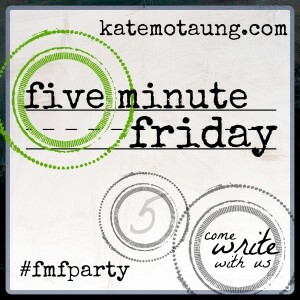 Always a blessing to linkup with Kate and the FMF writers! Be still my heart. My baby! What a great joy! I”m sorry you’re having a GBF this month :(. May you always feel the faithful (represented by the color blue) presence of God as you face each trial and blue-producing event. Aliyah, I love when friends return the visit! We will look for one another from now on at FMF! 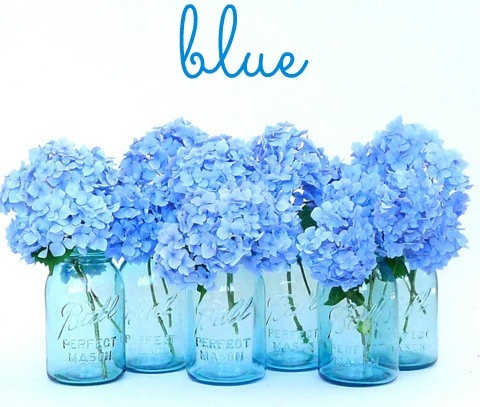 I love the blue jars and the hydrangeas they are so beautiful!! I also love the porch and it’s blues very pretty. I love porches and a porch swing. Sorry to hear about the accident so glad only the car got hurt. May God bless your writings I love to read them. I’m praying that your month ends without the blues too. I’m so bummed for Hannah. And car accidents indeed do bring about the blues too. 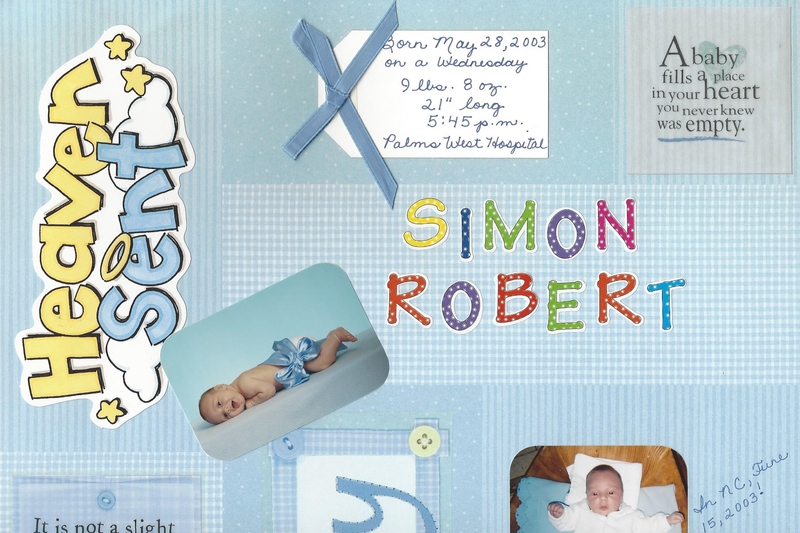 So glad you got to celebrate Simon! Praying friend! Love you friend! 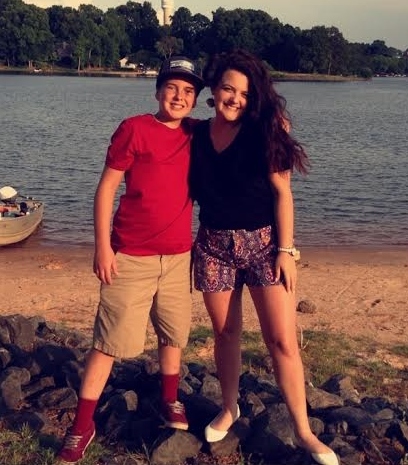 Tara, I appreciate you and your willingness to pray! Susan, what a great wrap-up of blue…sorry it has included some difficult shades in the last few days though. Appreciate your positive spin, sweet friend! Holly, thank you for stopping by – wish we could have had a cuppa together! I am deeply sorry for all of the bad news that you have come by (does that mean that Hannah cannot go to Liberty this fall???). My heart is broken for you, but as always, your faith is an encouragement to everyone. 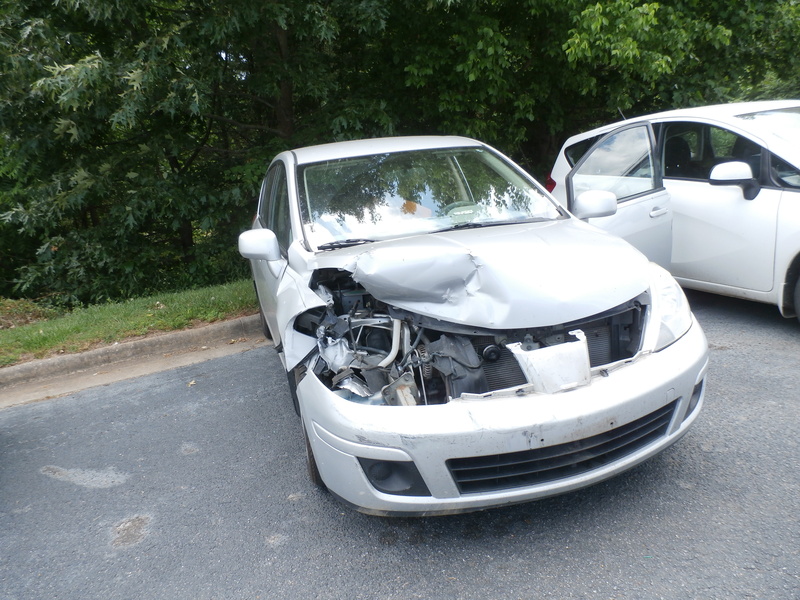 So thankful that everyone was okay! Sorry for all the disappointments but your trust is contagious. Jennifer, oh I do hope so! Humbled. Sorry to hear you are having such a rough month sweetie. Sending you hugs! What a great take on the prompt of blue..done in so many ways. Loved it! ((())) right back to you, Charlotte! Oh dear! I’m sorry about the car and the housing issues at Liberty. I’m glad you could see the good in blue as well. Take care! Tammy, and your comment? Brought laughter and smiles! Remember when one door closes, another will open….stay strong dear friend. Love all the BLUE that you displayed. Our days change from brightness to BLUE sometimes but yet I think of BLUE as a soft, beautiful color, just take a long look at the sky on a nice, bright, sunny day. Oh my, how beautiful is that BLUE. So glad only the car was damaaged and not any bodies. Thank you Lord. Me too, Donna! Oh yes, I love blue and it’s everywhere in our home!